Ever since the eighties, our engineers have been making CPT technology available for seabed soil investigation preceding civil works, installations for oil and gas and construction of wind farms. Various CPT systems are available, for shallow to ultra-deep water, including the ROSON seabed system, WISON-APB wireline system and Seabed Sampler XL. With the continuous innovations from our own engineering & development department you are assured to get the latest technology. After engineering, manufacturing and delivering, our engineers will take care of training, installation and start-up as and where required. Subsequently we provide a full after-sales service, including fast dispatch of consumables & spares and on-site support. 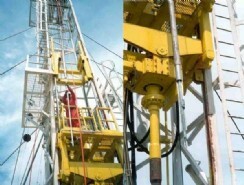 We have been selling our ROSON continuous seabed CPT system since 1982. The ROSON’s track record is unequalled in the industry. 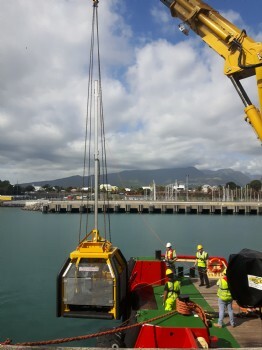 A ROSON is deployed from a vessel with with an A-frame or crane through a moon pool or over the side. 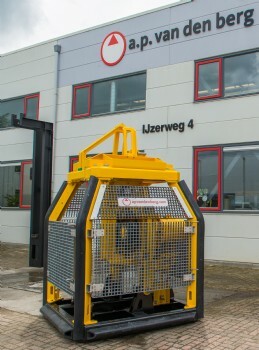 The electrical wheel drive system pushes the pre-assembled CPT string into the seabed. Wheel friction is imposed by hydraulic force. 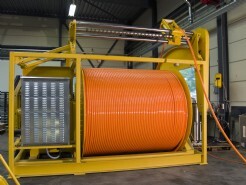 A self-tensioning electric winch with heave compensation feeds the umbilical for power supply and data communication. ROSON systems are available for CPT cones of all sizes at water depths ranging from 0 to 4,000 m. The systems can also be used for seismic, magneto, conductivity and vane tests at water depths up to 1,000 m. Furthermore with the Seabed Sampler XL high quality samples with a length up to 25 m can be taken from the seabed at water depths up to 4,000 m.
All ROSON systems work in conjunction with our digital Icone data acquisition system, consisting of the Icontrol datalogger and Icones. The WISON-APB system is basically a double-acting cylinder with the soil-testing instrument attached to the end of the piston rod. 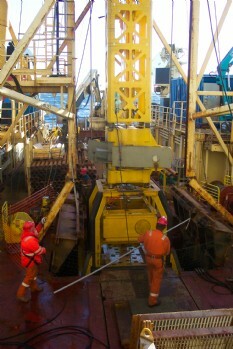 An umbilical is released from a remote-controlled and electrically driven constant tension winch on deck of the vessel. The WISON-APB is capable of performing CPTs + vane tests and taking soil samples with the Push or Piston Sampler at water depths up to 3,000 m. Seismic, magneto and conductivity tests are possible at water depths up to 1,000 m.
A.P. 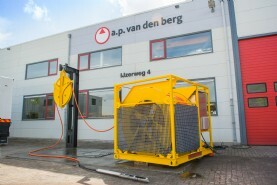 van den Berg provides a dedicated bottom hole assembly (BHA) to hold the WISON-APB tools. Alternatively a multi-tooling BHA can be delivered, that allows also 3rd party tools, i.e. S-Geobor core barrels, to be used in the same BHA. We can work with various parties to assure correct fitting of these tools. All WISON-APB tools work in conjunction with A.P. van den Berg’s digital Icone data acquisition system, consisting of the Icontrol data logger and Icones. Soft clay layers in the seabed have long been difficult to investigate. Layers are easily disturbed while pushing and it is difficult to preserve samples on the way up to the surface. The increasing activities on the seabed however lead to an ever growing need for an accurate and reliable determination of the soil properties especially in those clay layers. After all: the more accurate the determination of the soil properties, the lower the risk and cost of structures to be laid down or erected, such as pipelines, oil platforms and suction anchors. This need is answered with the Seabed Sampler XL. Read more.